Schools out for the summer at the Metropolitan Opera and that's not the only good news coming from the nation's largest opera company. After a couple months of PR issues with the media, I'm certain this good news is a welcome change for them. Bloomberg.com reports that according to the Met's 2010-2011 tax returns, the Met spent $321 million - which is an increase of 8 percent. And not only did the Met spend more - it saved more. 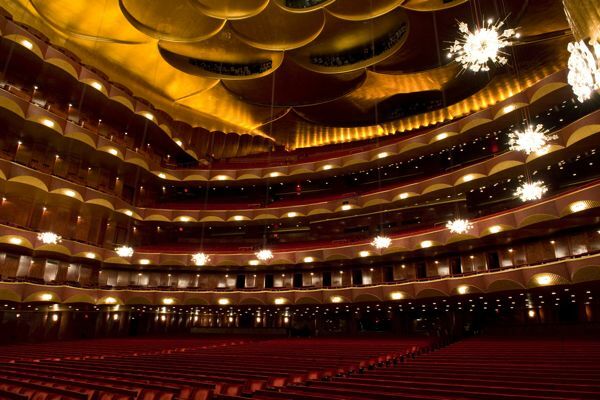 Due to a surge in contributions and revenue, the Metropolitan Opera had a $41 million surplus, reversing a $25 million deficit the prior season. Another surge was Maestro James Levine's paycheck. The Metropolitan Opera’s music director earned $2.1 million in 2010, up 39 percent from a year earlier. That makes him a higher earner than Peter Gelb, who is - for intents and purposes - Maestro Jimmy's boss. In an email to Bloomberg.com, Met spokesman Peter Clark said that Levine’s pay was “related to the increasing success of our media program, including amounts attributable to prior years”. Gelb earned $1.4 million in pay and benefits in 2010, up 4 percent. His base salary was $1.25 million and he sometimes flew first-class, Clark said. Moreover, a car and driver is available for business purposes seven days a week. When he uses the chauffeured car for personal reasons, he must pay taxes on the benefit, Clark said. “He never asks the driver to work seven days a week,” Clark said. He's Peter Gelb. Yea, the Peter Gelb who runs the Metropolitan Opera. Yea, the Peter Gelb has a car & driver! Yet, he only flew first-class "sometimes"? I take that as: They don't have first-class on the Delta Shuttles to Boston and DC ... but, every other time he flew first-class. And, hey... listen - no judgement here. If you're running the most important opera house in the country, not to mention most famous in the world, by all means fly first-class. In fact, I'd probably judge you if you *didn't* fly first class. Right? I mean, let's be honest ... you know you'd judge, too. Remember that Joseph Volpe guy? Yea. That one - Gelb's predecessor who retired in July 2006 (which seems like a lifetime ago). Well, Mr. Volpe received $406,101 in pension and health benefits in 2010. After 42 years at the Met, which included starting as a carpenter and rising all the way to general manager, I would hope he was taken care of. It's too bad there aren't more employers in our country that rewarded their employees like this for their loyalty and contributions to the good of the company. Good catch on the "sometimes." It's funny how they'll spin things!